WHITE FROST TRICOAT, TRANSMISSION, 6- SPEED AUTOMATIC, ELECTRONICALLY CONTROLLED WITH OVERDRIVE (STD), TRAILERING PACKAGE 4500 lbs. includes (V08) heavy-duty engine cooling system, (VR2) trailer hitch, TRAILER HITCH, SEATING, 7-PASSENGER, FRONT BUCKET second-row captain's chairs, flat folding and SmartSlide access to third row, third row flat folding 60/40 split bench (STD), LIGHT TITANIUM, CLOTH SEAT TRIM with Dark Titanium interior accents, ENGINE, 3.6L VARIABLE VALVE TIMING V6 WITH SIDI (SPARK IGNITION DIRECT INJECTION), DOHC (288 hp [214.7 kW] @ 6300 rpm, 270 lb-ft of torque [364.5 N-m] @ 3400 rpm) (STD), COOLING SYSTEM, HEAVY-DUTY, AUDIO SYSTEM, COLOR TOUCH RADIO WITH INTELLILINK, AM/FM/SIRIUSXM RADIO WITH CD PLAYER 6.5 diagonal touch-screen display, USB port and auxiliary input jack (STD), 1SD PREFERRED EQUIPMENT GROUP Includes Standard Equipment. 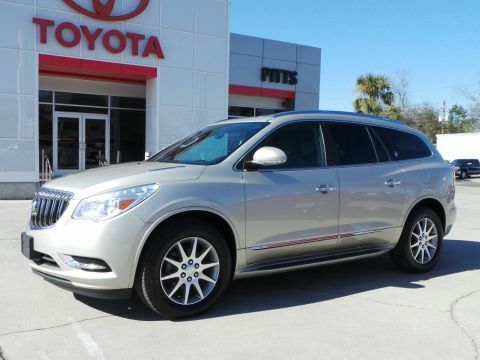 This Buick Enclave has a powerful Gas V6 3.6L/217 engine powering this Automatic transmission. 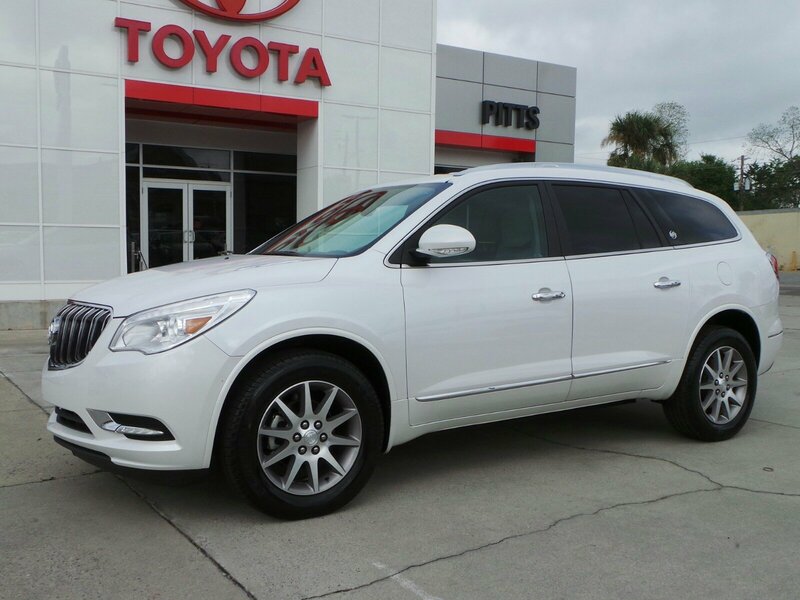 *Experience a Fully-Loaded Buick Enclave Convenience *Wiper, rear intermittent with washer, Windows, power with driver Express-Up and -Down features, passenger Express-Down feature, Wheels, 19 (48.3 cm) 10-spoke aluminum, Wheel, 17 (43.2 cm) compact steel spare wheel and tire, Visors, driver and front passenger illuminated vanity mirrors, USB port, 2 charging-only ports located in the rear of the center console, Universal Home Remote, includes garage door opener, 3-channel programmable, Transmission, 6- speed automatic, electronically controlled with overdrive, Trailering provisions, 2000 lbs. (907 kg), Traction control, full-range, Tires, P255/60R19-108S all-season, blackwall, Michelin, Tire pressure monitor system, Theft-deterrent system, vehicle, PASS-Key III, engine immobilizer with content theft alarm, Suspension, Premium Ride, 4-wheel independent, Storage system, rear cargo area under floor, Steering, power, variable effort, Steering wheel, leather-wrapped with Mahogany wood accents, Steering wheel controls, mounted audio controls and cruise controls, Steering column, tilt and telescopic, StabiliTrak Stability Control System with roll over mitigation. *Drive Your Buick Enclave Convenience With Confidence *Carfax reports: Carfax One-Owner Vehicle, No Damage Reported, No Accidents Reported, 9 Service Records. *Only The Best Get Recognized*KBB.com 5-Year Cost to Own Awards, KBB.com Brand Image Awards. 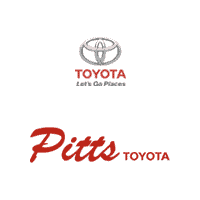 *Stop By Today *Come in for a quick visit at Pitts Toyota, 210 N Jefferson St, Dublin, GA 31021 to claim your Buick Enclave!